King Alfred Leisure Centre is an ideal venue for hosting your child's birthday party whether it be football, bouncy castle or swimming. Our friendly and enthusiastic staff supervise the party throughout. 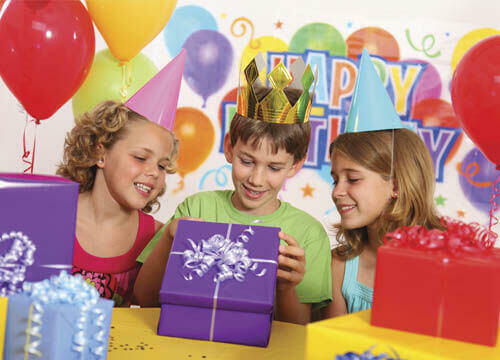 We regularly host birthday parties at the King Aflred Leisure Centre and are sure that we'll have something for your birthday boy / girl. Offering a range of different football drills from games to penalty shootouts. This party is perfect for under 7 yrs. Based in our large activity room our soft play and bouncy castle is perfect for the younger child's parties. This room will also have tables set up for your children to enjoy party food. This party is perfect for all ages however our under 8's policy needs to be followed. Pool parties take place in our teaching pool where floats and a lifeguard are provided. Each party is made up of an hour of activity and 45 minutes for food and drinks. All parties are self catering, food, drinks and cakes are to be brought to the party by the hirers. Please get in contact with us to learn more about our birthday parties.